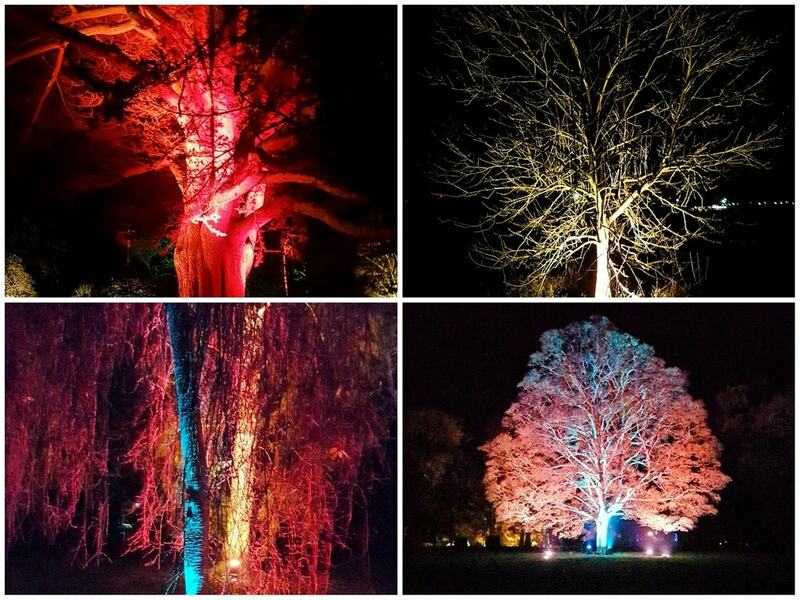 Westonbirt Aboretum run their Enchanted Christmas illuminations from late November right up to the 18th of December – and my goodness, they are magnificent. 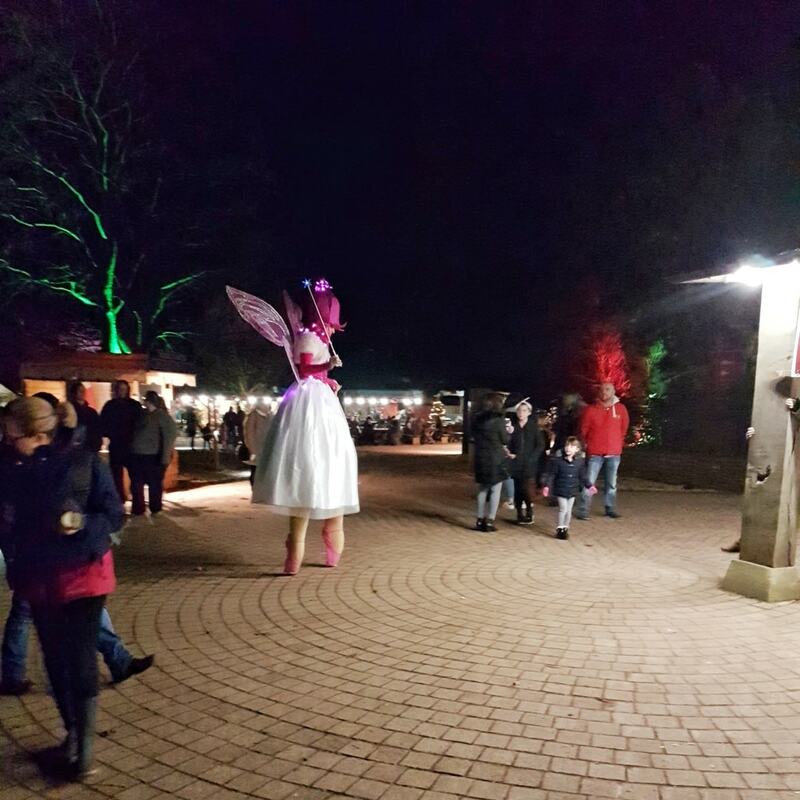 We were very lucky to be invited to Enchanted Christmas last weekend and the event surpassed all my expectations in terms of spectacle and organisation. However, we did have some significant issues with Biggest, as it was incredibly busy. Unfortunately the event is not currently autism friendly and it was completely overwhelming for him. I will return to this aspect a little later on. There is plenty to do and see before the walk begins, including places to purchase food and hot drinks like mulled wine and cider. There were also a few fair ground rides and a toilet complex. The event had a real festival atmosphere. It was bustling with people and excitement. We pressed on to the walk itself, as our children are quite small and we knew they would flag as it approached their usual bedtime. The path was very dark and full of people, so it was quite difficult for Littlest to walk. She is nearly two and can walk long distances but there were too many people and it was just a little too dark, meaning she was in danger of being trampled. However, she was very happy on Daddy’s shoulders. I would suggest a pushchair is necessary for smaller children, even if they are used to walking fair distances. 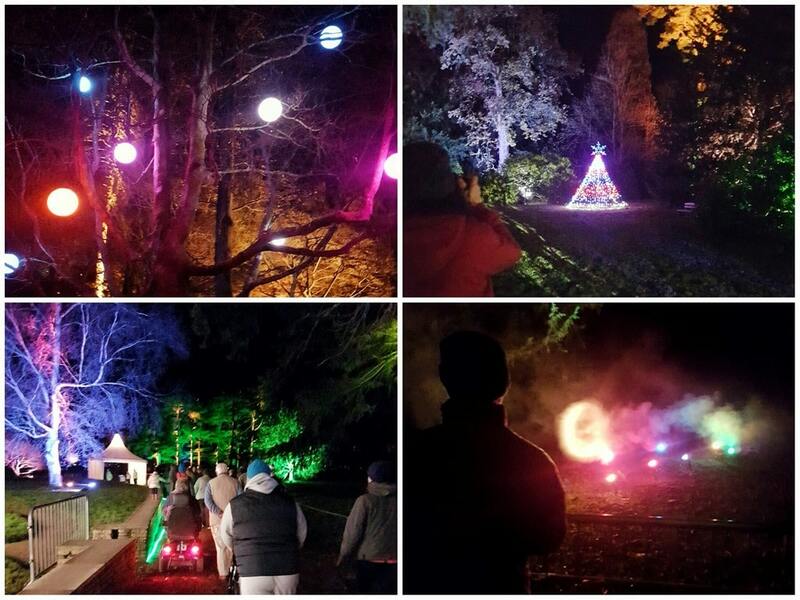 Each twist and turn in the path revealed something magical – mesmerising multi-coloured lights, lanterns, smoke rings and bubbles were just a few of the breathtaking sensory wonders. In fact, the sensory diet provided on the walk has the potential to be hugely appealing to sensory-seekers, such as Biggest. In the information on the website, it suggests that the walk is about a mile. It did seem a little longer than that to us. The children were very tired by the time we reached the end. I think Littlest was perhaps just a little too small to get the most out of it. 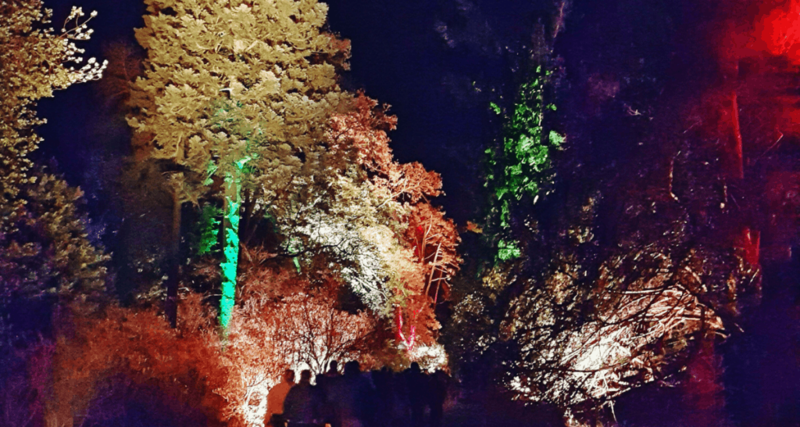 For families with children from about four or five upwards, I would suggest a visit to Enchanted Christmas would make a perfect festive family outing. As I mentioned earlier, we had to rush through the illuminations much more quickly than we might have liked. Biggest became extremely distressed from the moment we joined the queue to enter. It was such a shame as sensory experiences are something usually guaranteed to provoke his absolute delight. The queuing to get in took a very long time and he couldn’t see the lights in the trees that he had glimpsed from the car. When we started the trail it was so busy that he was surrounded by adults and couldn’t see parts that he wanted to. He can’t cope with crowds at the best of times but when he had been promised magical lights, and he couldn’t see them properly, he quickly became inconsolable. Another aspect that he found difficult is that he wanted more than one kind of sensory experience. 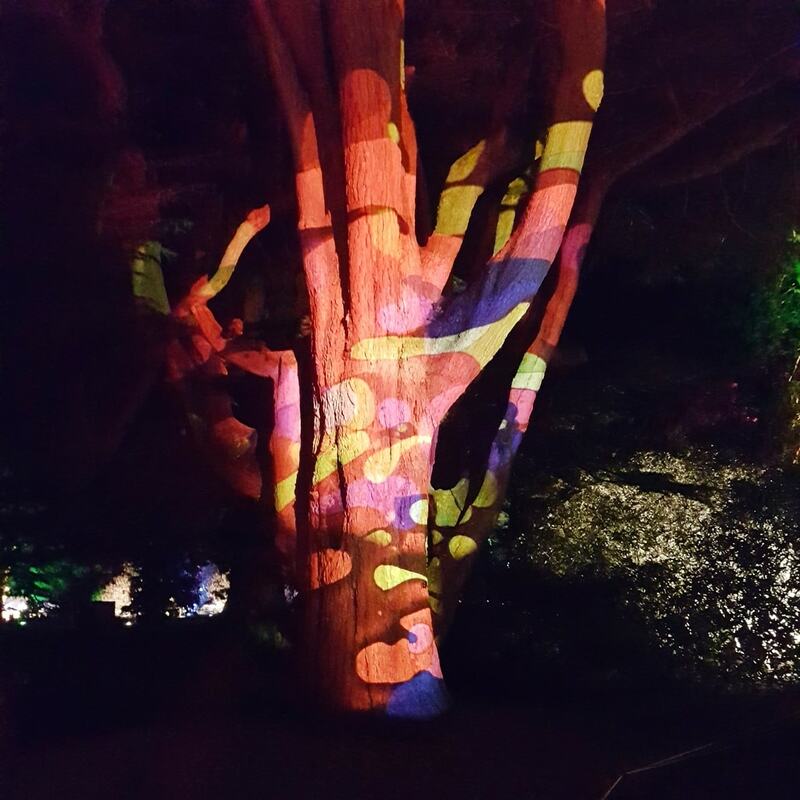 When he saw the different colours and different types of lighting he was desperate to touch the trees too. Of course, on such a dark and busy trail it is impossible to allow this as the trees may be damaged. An Autism Friendly Enchanted Christmas? 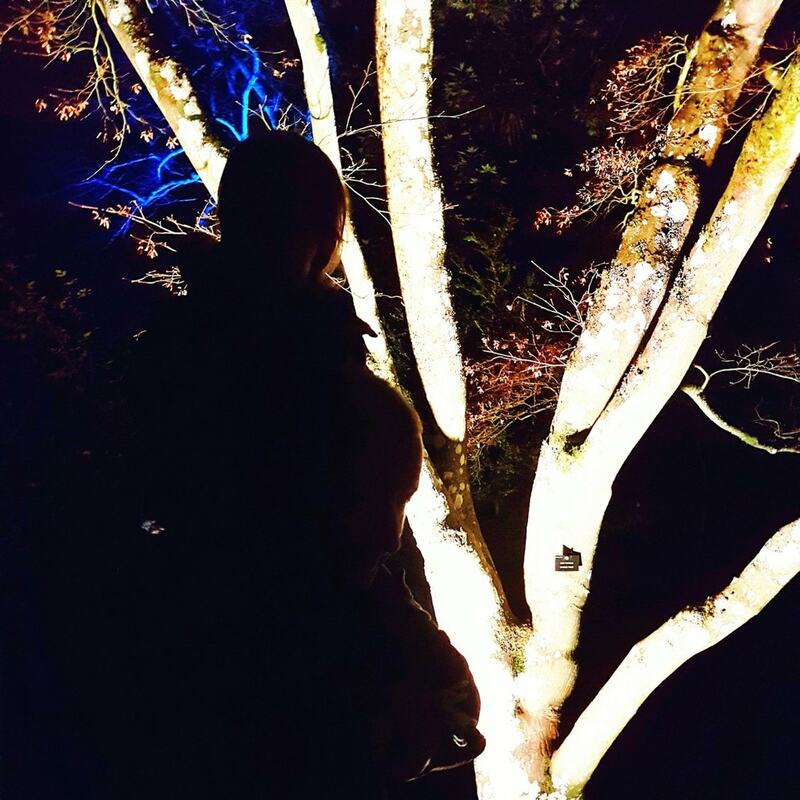 I think it would be wonderful if Westonbirt Aboretum could consider a quieter evening, or even an allocated window on one evening, for special needs children. I would estimate there were several hundred people or more on the path while we walked it. Biggest would have felt much more safe and secure if there were only one or two families on his section of the path at any one time. As it was, we were often standing shoulder to shoulder – more like a rock concert than a peaceful nigh-time walk. 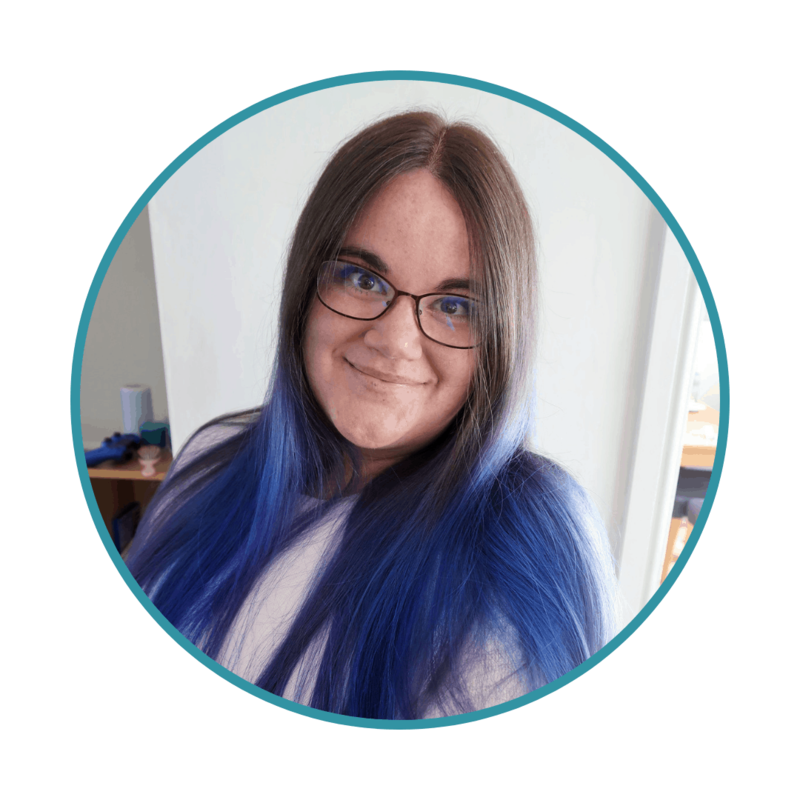 In addition, there are so many ways that Enchanted Christmas could be adapted to be such a wonderful experience for sensory seeking autistic children. With fewer people, there may well be the possibility for some touch sensory stimulus to be introduced, as it could be easily monitored. So many families with autistic children struggle at this time of year. Their little ones love the sensory stimulus of Christmas but cannot tolerate the crowds and unpredictability. It would be truly wonderful if some venues that host Christmas events could cater for them. Having said this, I do not wish to detract from what could be a truly magical experience for families. Our evening was a little marred by a very distressed little boy. However, taking that into account I can clearly see that Enchanted Christmas would be a hugely appealing event for most families during the festive season. That’s beautiful, and really different from the usual seasonal attractions. Just by looking at the pictures I get the feeling that I’d find it quite overwhelming, even as an adult. Having one or several more ND-friendly evenings would be fabulous for something like this.